Thank you to the Southern California Garrison of the 501st Legion for their generous donation of tech games for kids. The hand-held electronics bring much enjoyment to our young patients and provides them with hours of engagement. Entertaining, educational and useful in helping communication, new technology is an integral part of our Child Life Program. 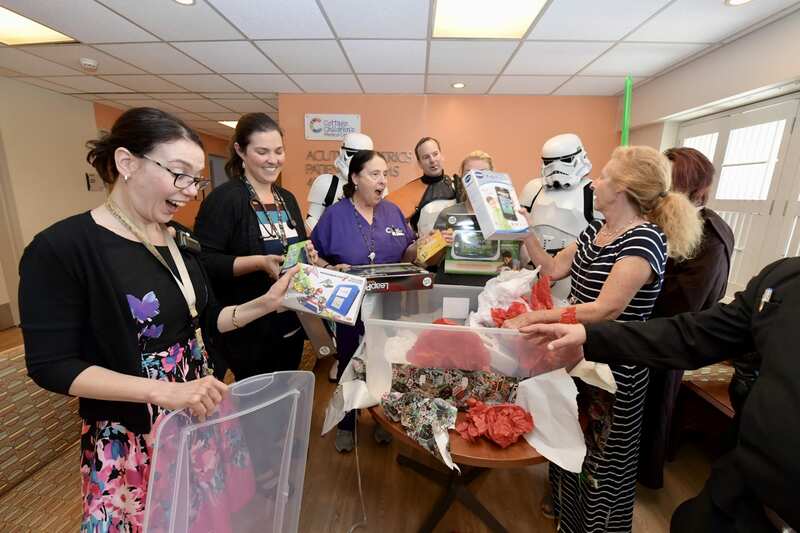 Medical professionals at Cottage Children’s Medical Center express their excitement at receiving the 501st Legion’s gift of hand-held electronic games for pediatric patients.